It is a circular debate – does bad culture lead to bad processes or do bad processes corrupt a good culture? The answer is more complex as these two issues do not work in isolation. Recent news headlines and blog posts have raised the issue of weak corporate culture encourages dangerous business practices. Harvard Business Review recently published an article that raises the counter argument. Executive leaders shared with the authors of the HBR article that fixing the broken business processes corrected the cultural problems. Focus on the processes and let the culture take care of itself. The truth, or better yet, the facts probably reside somewhere in the middle. Even with noble intentions, a less than stable corporate culture could develop bad business processes. It is the slippery slope by which a company begins a downward spiral. The reverse is equally plausible as poorly thought-out incentives or policies create an environment of opportunity by which less than ethical processes form. Strong corporate cultures founded on high ethical standards and open communication would fix bad processes before they corrupt the environment. I would not be so comfortable making the same statement about mediocre or weak cultures. It is easier for bad processes to entice these company cultures into accepting questionable ethical judgments. Weak corporate cultures may encourage the development of awful business methods that are often splashed across the news headlines. Harvard Business Review’s point about fixing the culture through improved processes seems reasonable. However, there is one linchpin to the thesis. The leadership must realize the failings of the existing corporate culture and processes to carry out the needed changes. In fact, these are the first steps in strengthening the culture. Leadership is doing their job by leading. Even if the processes were not entirely overhauled, the awareness by the leadership team would begin to alter the corporate culture towards a stronger and healthier place. 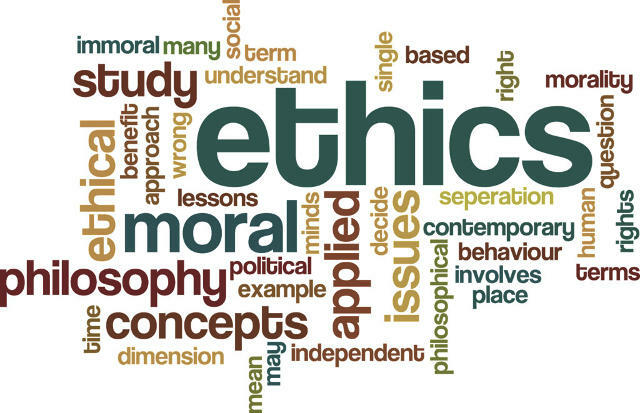 Failures in judgments and corporate ethics are a severe and interrelated problem. It is not an issue of “all bad people” or “all bad processes.” The issues are interconnected and mutually reinforcing. It is the leadership which must accept the responsibility to make sure that the corporate culture remains strong, healthy, and supported by sound business practices. Corporate governance processes and the Board of Directors share this responsibility with the leadership team in ensuring the proper management throughout the company. When these factors are aligned, the organization is in a position to pursue the goals of long-term value creation.